Carmarthen Quins RFC would like to pass on their sincere condolences to the family of Paul Rees, who tragically passed away at the weekend. RIP-Paul Rees forever in our thoughts. 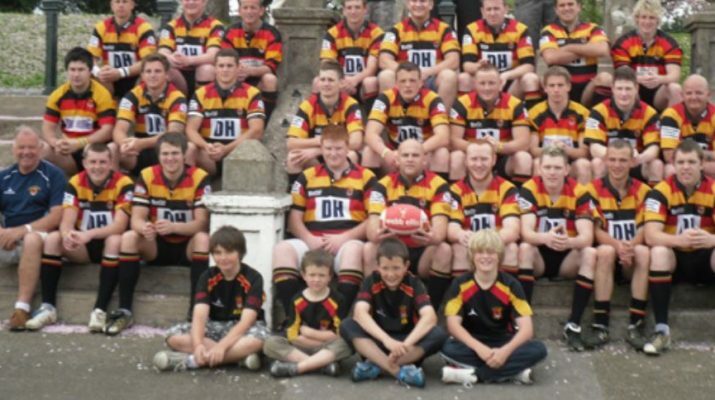 Photo – Carmarthen Quins seconds from 2010-11. Paul is seated second left on the lower bench next to “team vet” Robert Morgan.